The indigenous 155mm 52-calibre Advanced Towed Artillery Gun System (ATAGS), jointly developed by the Defence Research and Development Organization (DRDO) and a private sector company, will have its winter trials in the Sikkim sector, stated a Hindustan Times report quoting Army sources. The locally made gun will undergo crucial trials in January at a time when the Army is laying emphasis on artillery modernization programme. The ATAGS had earlier set a record during trials in Rajasthan’s Pokhran in September, firing shells to a range of 48 km, against Army’s requirement of 40 km. The Defence Ministry sanctioned the ATAGS project in September 2012 and the DRDO has partnered with Bharat Forge and Tata Power (Strategic Engineering Division) to develop two prototypes of the towed artillery guns. The two prototypes underwent their maiden structural stability trials in December 2016 at Proof & Experimental Establishment, a government test facility at Balasore in Odisha. Army sources disclosed that a letter of intent has been given to the DRDO for 150 ATAGS. The army’s field artillery rationalisation plan (FARP), cleared in 1999, lays down the roadmap for inducting new 155mm weaponry, including tracked self-propelled guns, truck-mounted gun systems, towed artillery pieces and wheeled self-propelled guns. 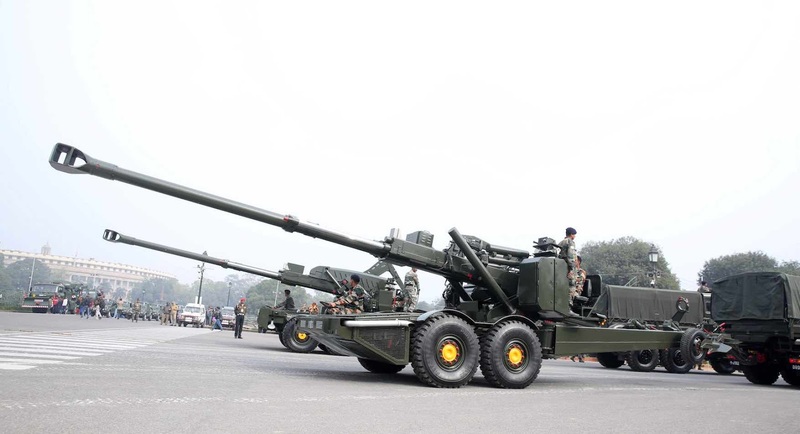 The army is looking to induct another indigenously developed 155mm 45-calibre towed artillery gun called Dhanush. But the programme has been delayed as the gun was involved in mishaps during trials. The Army is also awaiting a report of an accident involving its new M777 ultra-light howitzer. The BAE Systems-manufactured gun was partly damaged when a 155mm artillery round misfired and exploded in its barrel during a drill at the Pokhran firing ranges in September. The M777 order is the first contract for artillery guns in almost 30 years after the Bofors scandal unfolded in the late 1980s. India signed the Rs 5,000-crore deal with the US in November 2016 for 145 howitzers, the report stated.